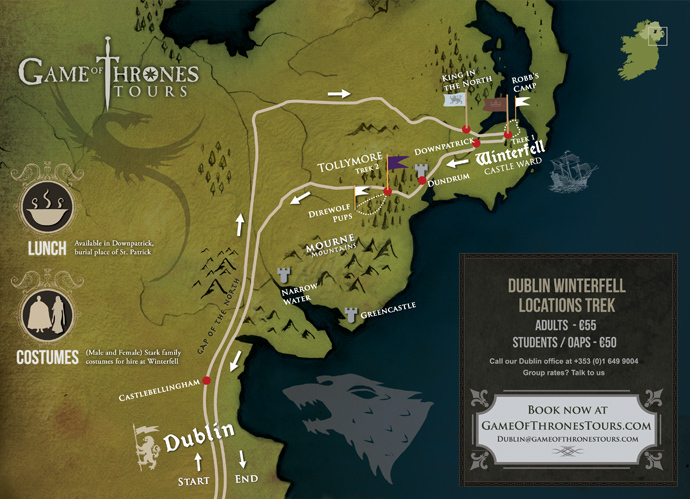 The task for this project was to create a look for the Game of Thrones Film locations Tours which would clearly capture the mood of the series without using any actual screenshots or official artwork from the show. 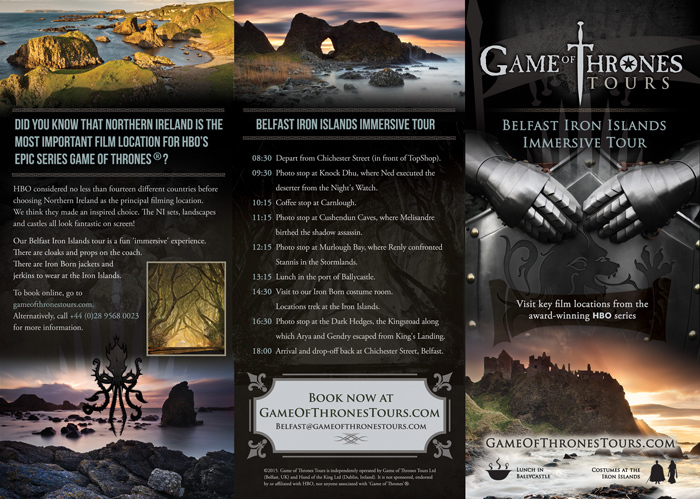 For this I located the work of photographer Gary McParland who creates beautiful atmospheric shots of Antrim and Down where the tours take place. 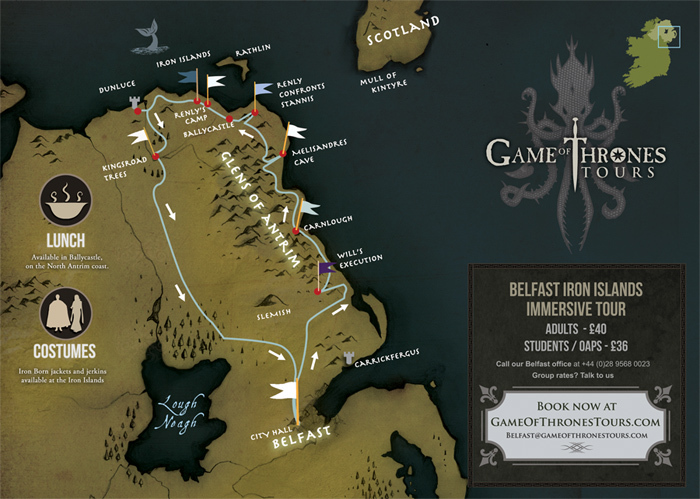 I then developed a look for the brochures and posters and a logo which includes a seven pronged star which is the religion in Westeros (an inclusion designed to appeal to dedicated fans of the series) which we then showed to the programme makers HBO before launching. They were happy for us to proceed with the artwork as it didn’t cause any copyright issues due to the careful route we took. 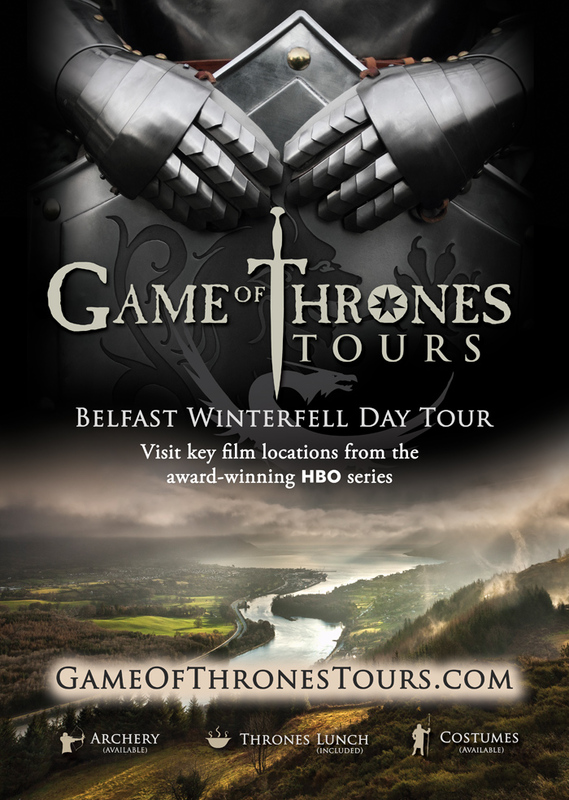 I worked closely with Rob Dowling, the Game of Thrones expert who devised the tours to ensure the graphics would appeal to all fans of the show from the most dedicated to the occasional viewer. 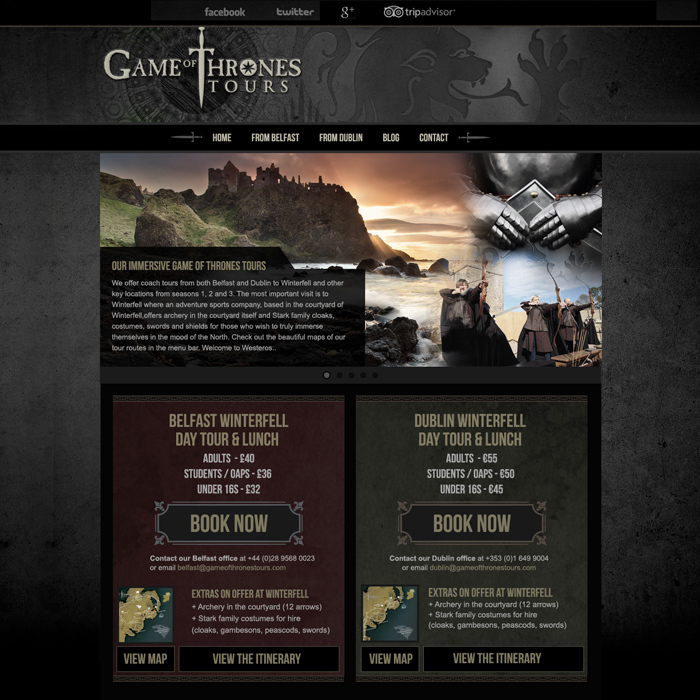 The tours are now running as the premium Game of Thrones tours in Antrim & Dublin with a view to expanding in the future. 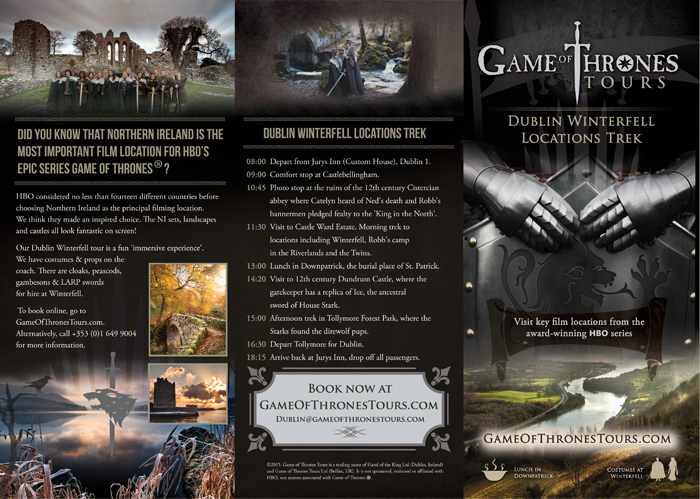 During the lifetime of this ongoing project I’ve created brochures, vouchers, maps, posters, T shirts and website designs which can be viewed above.